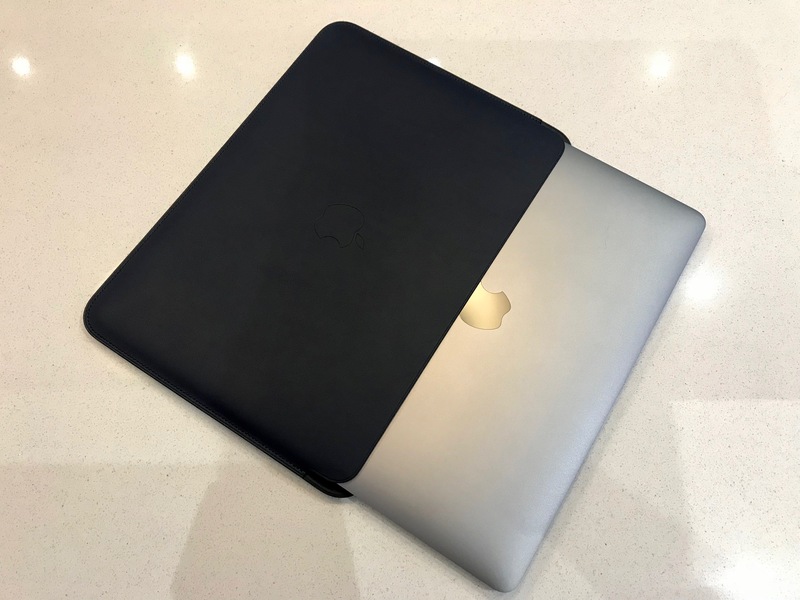 Leather Sleeve for 12‑inch MacBook – Worth it? With the release of the iPhone X, Apple also (quietly) made a few other silent additions to it’s product line-up. I logged onto the Apple Store to order the Apple Watch Charging Cradle (review for that to follow soon! 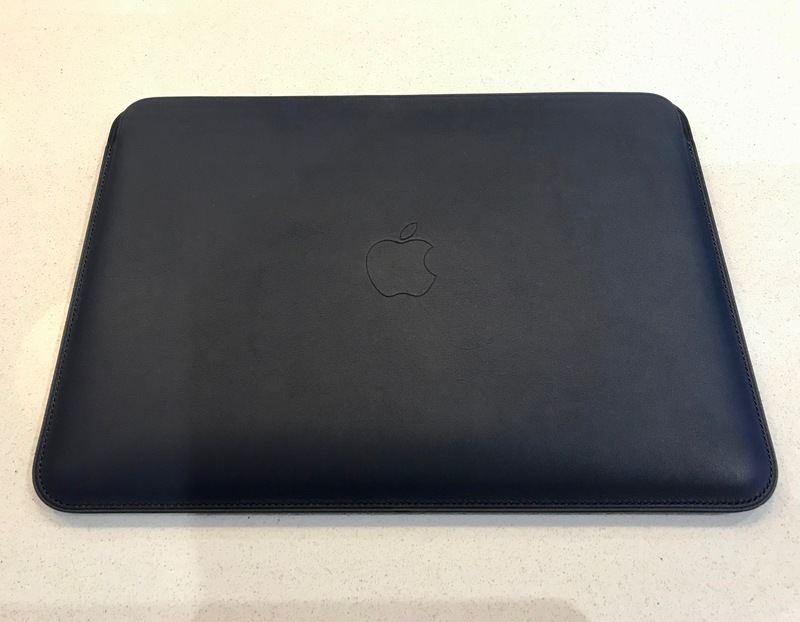 ), and was pleasantly surprised to see that a leather sleeve for the 12” MacBook had been added to the store. 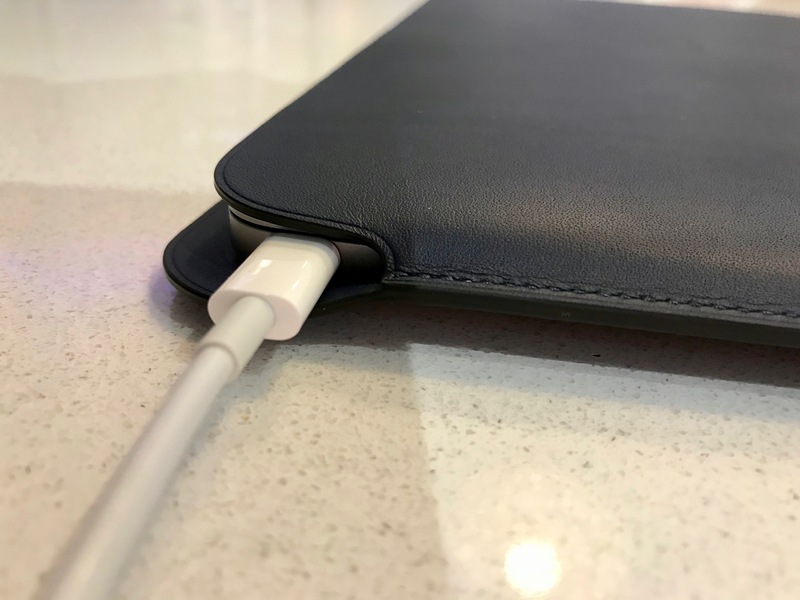 This is an official Apple product, and looks remarkably similar to the leather sleeve for the iPad Pro, which I purchased with my 10.5” iPad Pro earlier this year. 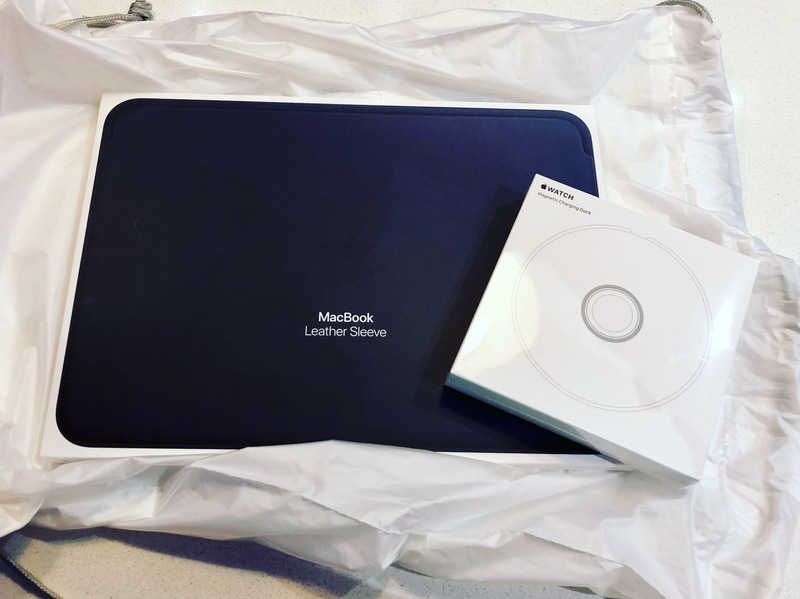 I already knew that the quality for this was top-notch, and as I often struggled to protect my 12” MacBook, felt it would be a good option to consider. However, priced at £149.99, it definitely isn’t cheap! But is it still worth it? The first thing I did once I got back home was to remove the dBrand skin I had on my 12” MacBook, which I applied 11 months ago in January. It has definitely served me well, but I sorely missed the shiny space grey aesthetics of my MacBook. Taking off the dBrand skin was not particularly easy, but no damage or residue was left on my MacBook, which was a relief. Okay, so onto the leather sleeve itself. The leather sleeve (at time of writing) comes in two distinct colours; saddle and midnight blue. To match my iPad Pro’s leather sleeve (and my own colour of choice), I opted for the midnight blue variant. The first thing that strikes you about the sleeve when you first hold it is the sheer quality. It’s soft to the touch, and very well made. Everything is flawless, from the colour consistency to the stitching. There is a distinct leather smell, but it is very subtle, and should wear-off after some time. At least that’s what I noticed from my iPad pro’s sleeve. being leather, it may patinate over-time as well, but again, I haven’t noticed any significant patination with my iPad Pro’s sleeve. In terms of the fit, the MacBook slides in nicely, and it fits like a glove. There are also cut-outs at the top so you can charge the MacBook whilst it is in the sleeve, which is a very nice touch. Truly, there are no complaints. The only potentially negative with this sleeve is the price. At £149.99, it is certainly not cheap. The iPad Pro sleeve, which houses the iPad Pro and Apple Pencil retails for £129.99, so the price of this sleeve was no surprise. On another note, it measures pretty much the same as the 10.5” iPad Pro sleeve, as can be seen in the pictures. But in my opinion, I think if you are spending £1200 on the 12” MacBook, it deserves a high-quality sleeve to protect it. Yes, there are (much!) cheaper alternatives on the market, but there is something highly attractive and unique about this sleeve. It certainly is a premium product, but then again, so is the 12” MacBook. From a personal standpoint, I really like this sleeve despite the high price tag, and would definitely recommend it. « Garmin Vivoactive 3 – Better than the fenix 5?